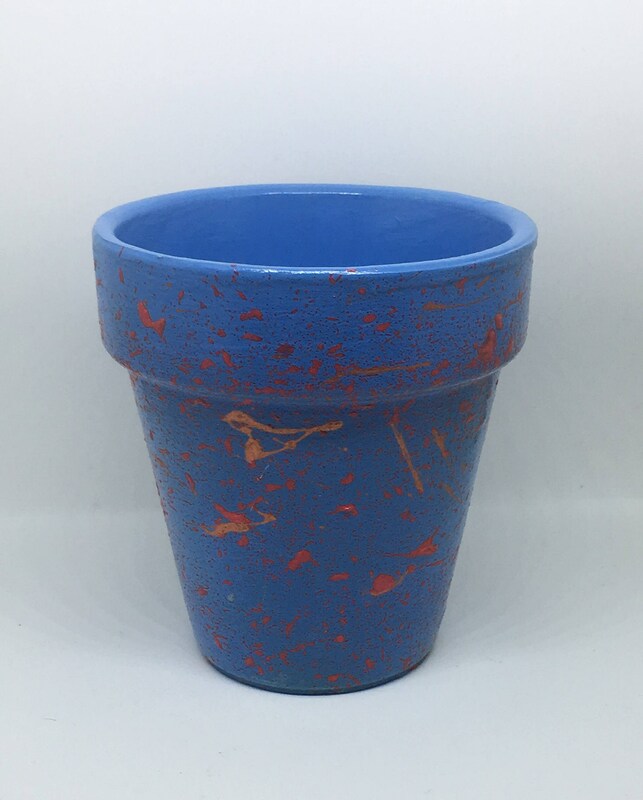 These brightly coloured plant pots provide a colourful home for your favourite succulent, cactus, herbs, small plant or can even be used as a storage caddy or quirky desk tidy. there are four colours available, pink, blue, yellow and orange. 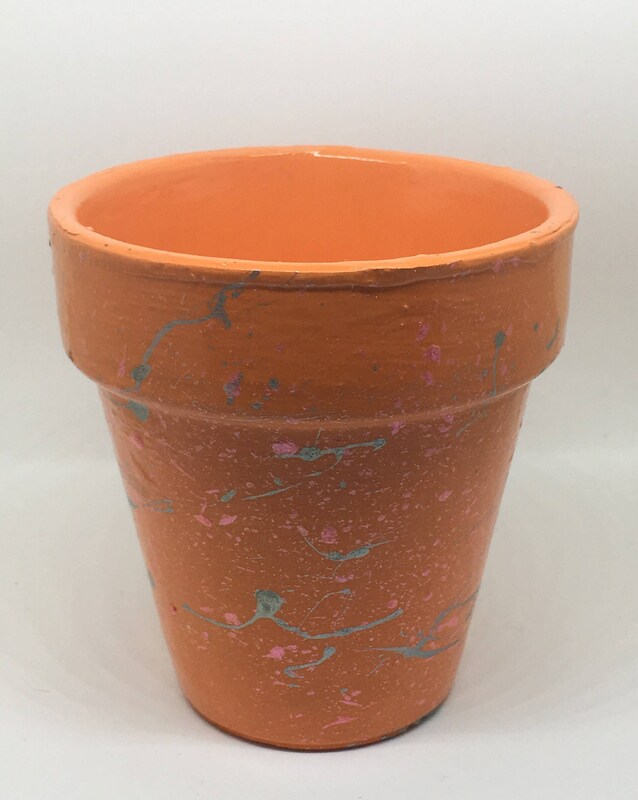 Each pot has been hand painted with a base colour on a terracotta pot, before contrasting colours are applied in a splatter pattern and finished with several coats of enamel lacquer to ensure durability and sheen. Pots are approx. 9cm high, 8.5cm diameter (top), 5cm diameter (bottom). Yellow pot is slightly smaller approx. 8cm high, 7.5cm diameter (top), 4cm diameter (bottom). 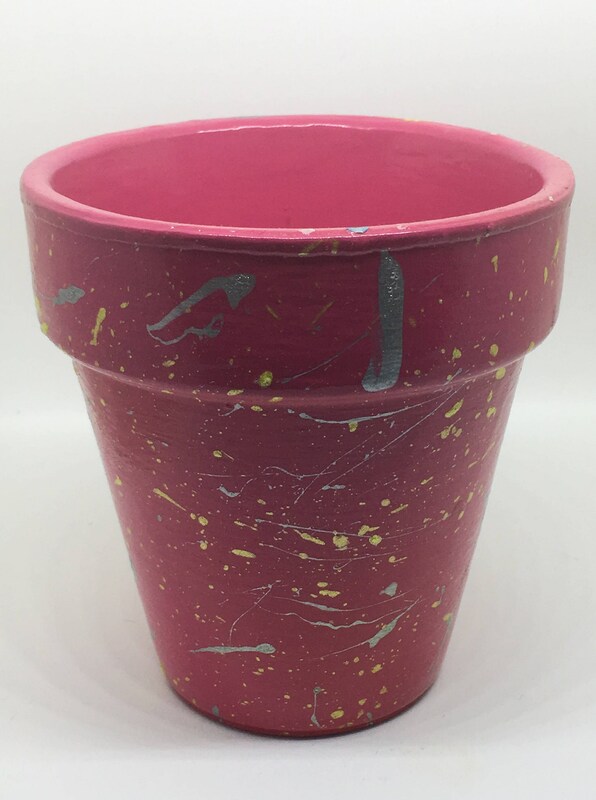 All pots have a drainage hole in the bottom of the pot. 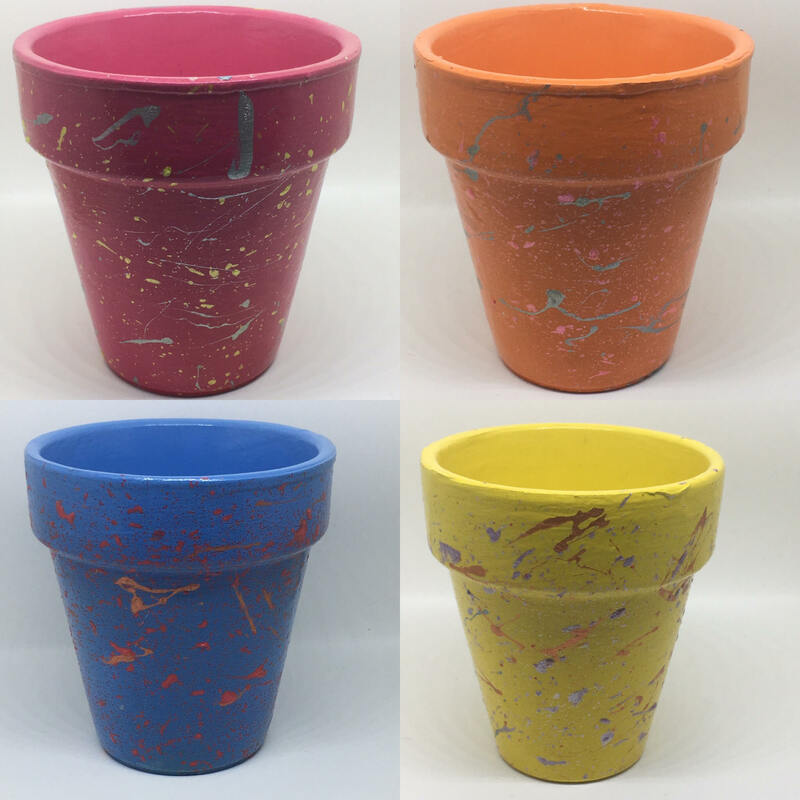 Each pot has been painted and is ready to dispatch, unfortunately I cannot accept customisation requests for this listing. Cleaning Instructions: Wipe clean with a damp cloth only. Do not use cleaning products on this as it may affect the paint and lacquer.